So far as I know there is no record of how many Hebblethwaites fought in W.W.1. My cousin Roger Hebblethwaite recorded that sadly 12 were killed in Europe and are buried in European cemeteries. He also recorded that a further 8 were killed and buried in Europe in W.W.II. Three Hebblethwaites were lucky enough to survive and all rose to the rank of Lieutenant Colonel before they eventually retired. They were all decorated and coincidentally all had, to a greater or lesser degree, a medical background. This must have been one of the last, if not the last, M.C. of the war as the Armistice was on 11th November 1918. France and Germany Star, Defence medal, War medal 1939-45. R.V.H. was born in 1899, left school at the age of 17 and joined the Royal Artillery. He served in France, where he was awarded the M.C., until the end of the war. He continued as a career soldier and was posted to India, Hong Kong and then, in 1938, to Singapore. He was there for the fall of Singapore and was one of the few important officers ordered to escape. This he did, leaving Singapore on 13th February 1942, the day it fell, in a 45ft. patrol boat and succeeded in reaching Sumatra. He was subsequently posted to Trincomalee in (then) Ceylon and back to England and the Second Front. He retired in 1946 with the rank of Lieut. Colonel. War medal 1939-45, Coronation medal 1937. A.S.H. was born in 1891, the son of a surgeon who was also a Territorial major in the Royal Army Medical Corps. He went to Leeds University and qualified as a doctor in 1914, aged 23. He was also a member of the Territorial Force, the forerunner of the Territorial Army. He must have volunteered at an early stage of the war and became a Lieut. in 1915 in the R.A.M.C., serving in France. He was promoted captain in 1916 and, when on attachment to the London Irish Rifles, won his M.C., for which the citation is above. After the war he continued as a member of the Territorial Force and in 1927, as a major, was in command of 6th (Northern) Hygiene Company at their Annual Camp. He finished military service, in the Territorial Force, as a Lieut. Colonel. 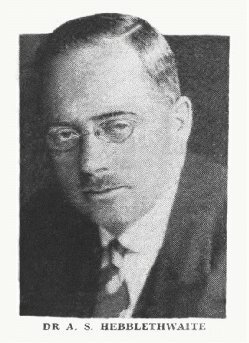 in 1933. In 1927 he was appointed Medical Officer of Health for Sunderland and continued in that appointment until his retirement in 1956. Records show that he was a very active M.O.H. with interests in, among other things, disabled ex-service men, the treatment of tuberculosis, the problems of slum clearance, the setting of standards for the manufacture of ice cream for health reasons and the treatment of those suffering from chlorine gas. He wrote a pamphlet entitled “Treatment of chlorine gas poisoning by venesection” and corresponded in the British Medical journal on, amongst other things, “Pyrexia during the Puerperium”. His medical experience was tested in 1936 when the ship “Krishna” was in for a refit in Dry Dock in Sunderland when two of the crew, 2nd Cook, Tan Yam and Fireman’s Boy Tung Thung, were found unconscious in a small locker space. They had been overcome by carbon monoxide fumes while sleeping instead of attending to their duties. They were discovered by the Chief Officer on his rounds. A.S.H. directed their removal to the Borough Hospital. It is believed that Tan Yam had been unconscious for about 12 hours and Tung Thung for slightly longer. Their condition was reported by the hospital as progressing favourably after oxygen treatment. His appointment appeared in the London Gazette on the 1st January 1918, thus confirming that it was awarded in the New Year’s Honours, a normal way in which such an award was made. Distinguished Service Order, 1914 Star, British War medal, Victory medal with mentioned in despatches, Special Constabulary Long Service medal, Medaille d’Honnour des Epidemies “en Argent”. A.G.H. was born in 1869, went to Sedbergh School and then to Leeds University. He qualified as a doctor in 1891, aged 22, and was 45 years old when war broke out. He was a member of the Territorial Force, the equivalent of the T. A. and in 1914 served as a senior surgeon in a mobile Field Ambulance attached to the French Cavalry. In 1915 he became second in command of the 2/2nd West Riding Field Ambulance, part of the R.A.M.C. He was appointed a Lieut. in 1915 and Captain in 1916. Whilst a Captain he was awarded the Distinguished Service Order. 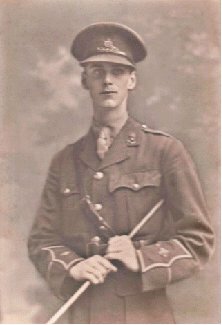 In 1917 he was appointed Deputy Assistant Director of Medical Services, an appointment covering the whole of the 7th corps with the rank of Major. 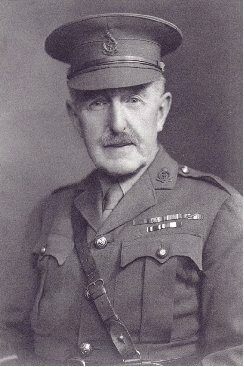 In 1918 he relinquished this appointment and took command of 2/1st West Riding Field Ambulance with the rank of Lieut. Colonel. which he held until he retired from the Army. After the war he became Deputy Commissioner of Medical Services, on H.Q. Staff, Ministry of Pensions, Leeds. A.G.H. was also an inventor. One patent covers a device for removing a cigarette from a holder without leaving the paper round the non-smoked end inside the holder. Another is for improvements to the manufacture of stockings in order to turn them inside out. Neither appears to be of great value in today’s world. He was also a golfer, having been honorary secretary of the Keighley Club he subsequently became the “enthusiastic secretary of the Seascale Club on the Cumberland coast” in 1933. 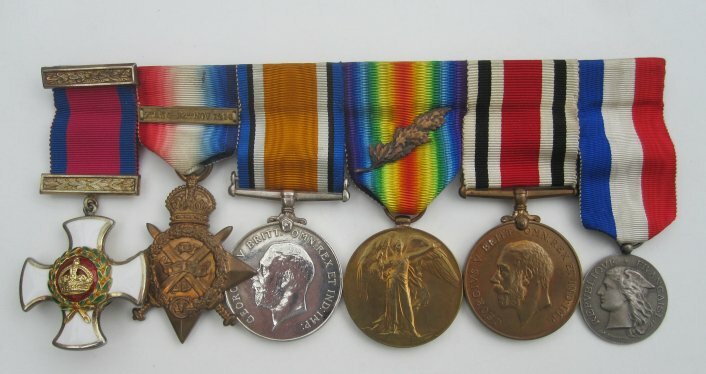 There is a distinction between Campaign medals which are, of course, for taking part in a campaign and Decorations which are for acts of valour. These three Lieut. Colonels were all decorated and the most important of them is the D.S.O. of Alfred George. Because the D.S.O. is usually awarded for more than one action and involves leadership there is no formal citation, so we know little about why it was awarded. However with the two M. C.s we have full details of the two very different actions. There are a number of interesting things about these Campaign medals. R.V.H.’s Stars trace his movements during WWII. from the Pacific theatre to Europe and the U.K. with the Defence medal. A.S.H.’s medals show that he was not on active service in the Army in W.W.II, probably because of his position as M.O.H. for Sunderland and his age which was 48 on the outbreak of the war. However he did receive the Defence Medal, suggesting he was in the Home Guard or a similar service. His Coronation medal 1937 he was probably awarded because of his position as M.O.H. for Sunderland. 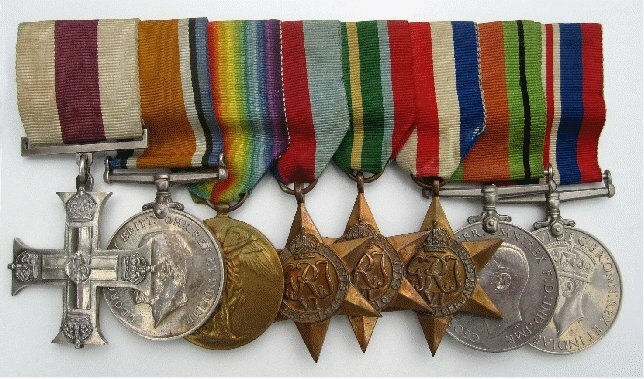 A.G.H.’s medals show that because of the award of the 1914 Star he was in Europe, under fire, and took part of the retreat from Mons at the beginning of the war. His mention in despatches (the oak leaf attached to the Victory medal) may have been for his actions in this retreat. He did not serve in W.W.II because of age (he was 70 when W.W.II started) but was a member of the Special Constabulary qualifying for the Long Service medal after at least 9 years unpaid service. Finally the Medaille d’Honnour des Epidemies is a very special award as only 85 medals were awarded in silver and the award was presumably made because of A.G.H.’s actions in France when he was attached to the French Cavalry in 1914. There are a number of coincidences between these three gallant men. They were all born in Yorkshire, had a medical background, received a very high military award and retired as Lieut. Colonels, having served their country with distinction. All Hebblethwaites are, almost certainly, descendents of James Hebblethwaite of Sedbergh (circa 1400) so all three would have been related, although probably distantly because of the number of generations which had elapsed. I wonder if the three of them ever met? My thanks to Steve Aarons for his extensive research and to Diane Partington of Digital Magic Memories for her work on enhancing the photographs.